The lenten season in Metro Manila isn't bad at all! The streets are almost empty that running public utility vehicles can freely own the road and no to less traffic. An hour ride will be cut to 20 minutes! Isn't that amazing?!! Of course, it is! Anyone would want that to be forever, but nothing is forever! Therefore, it is one of the best times to tour around Metro Manila (if transportation is your concern - one of the worst in the world), but most establishments are closed! Still, it is a good time to drive along or even do commute. Anyways, yes, it is a fine, sunny weather out there. 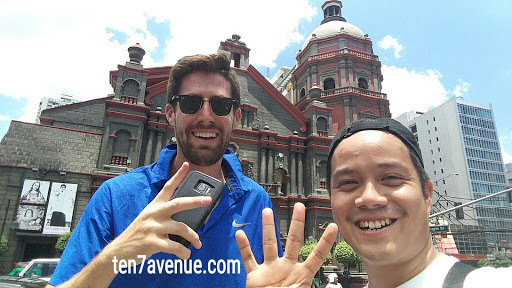 The goal is to visit 7 churches and say some prayers with my friend, Rob, who is a bit excited to experience the holy week in Manila. Brought some water and isotonic drink to fight the heat. Alright, we are then ready for the day, commuting! 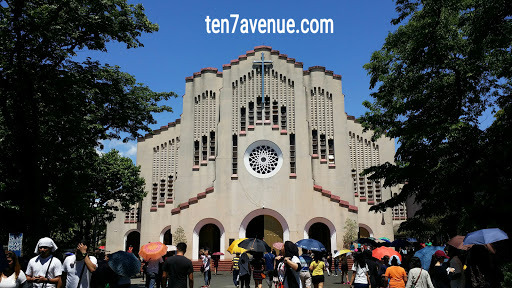 The itinerary includes visiting churches like the Basilica Minore of the Black Nazarene, San Agustin Church, Manila Cathedral Basilica, Binondo Church, Malate Church, Baclaran Church and Sta. Rita Church. We completed those for four (4) hours commuting and walking. First, we went to the Basilica Minore of the Black Nazarene. From where my friend is staying, Z hostel, towards Quiapo Church (Basilica Minore of the Black Nazarene), it took us a walk and rode jeepney twice. It was insanely a wrong move, I guess, because the place is horrifyingly untidy. But, it is not for the place that we visited, it is for the church visit and prayers. We were not able to get inside the church though because there were a lot of churchgoers. We settled outside the basilica and made some prayers. Next destination is the San Agustin Church. 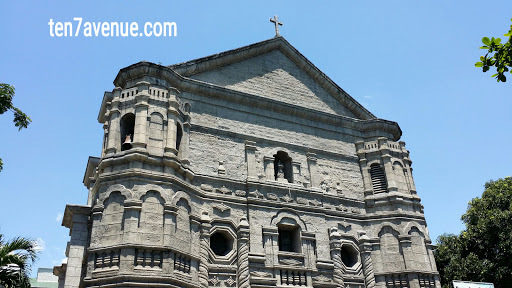 It is located at the Intramuros or the Walled City of Manila. We walked from Quiapo to San Agustin Church as jeepneys were impossible to pass by Quiapo because of the church activities and jeepneys are rerouted. Almost a kilometer walk, we reached the church, a UNESCO World Heritage Site. 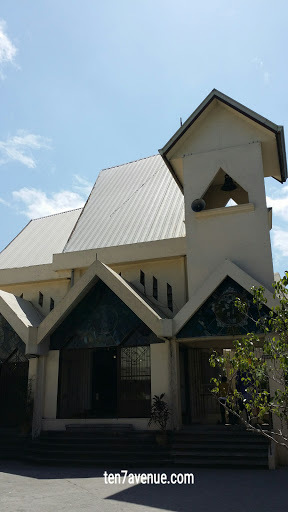 The church was established by the Agustinians and the church was erected 446 years ago. The church was well preserved even it had been witness to war and earthquake. We settled for some moments to pray and moved to another church. 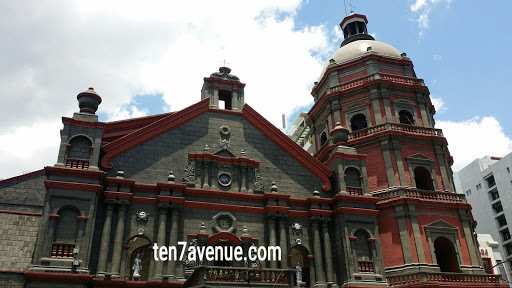 We headed next to the Manila Cathedral Basilica or the Immaculate Conception Church walking. For me, as I told Rob, it is the grandest but not the biggest among the churches we will visit. We settlement for some time to pray and then we took our lunch to a fast food nearby. After finishing our meal, the sun is still high and bright. We still have four churches to visit. 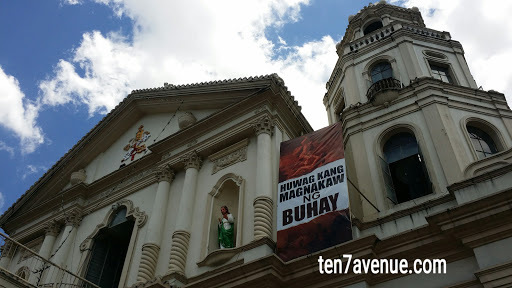 From Manila Cathedral Basilica to Binondo Church (San Lorenzo Ruiz Church), we again walked. It is still almost a kilometer walk. It is such a humble church. We stopped there for some moment and offered prayers. 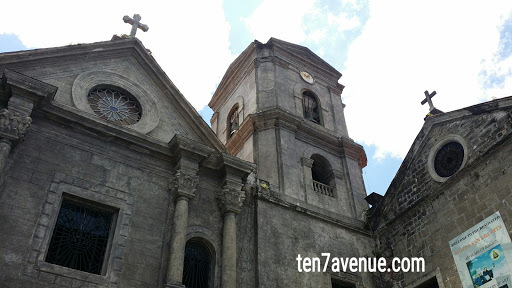 Then, our next destination is to Malate Church which is located at Malate, along Mabini Street and now not by walking; we rode a jeepney. From Binondo to Malate, it took us around 10 minutes to get there. (I know, it is fast...) We again stopped by and offered some prayers. Then, from Malate Church, we proceeded to Baclaran Church. 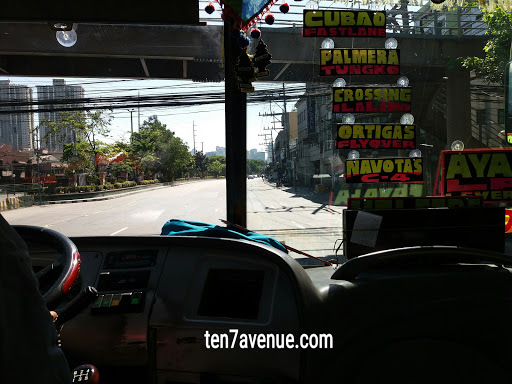 We rode a jeepney and it stopped nearby Baclaran Church. I told Rob that it is the biggest that we visited. It has a long aisle and can accommodate a lot of churchgoers. We again stopped for some moment and offered prayers. We also watched and heard some of the seven (7) last words being enacted. Just a half a kilometer is another church, so we just walked. A pretty tiny church named Sta. Rita de Cassia Church is there. I again told Rob that it is the smallest church we visited and there are chapels bigger than it. We stopped for some moment and offered prayers. We completed our goal of seven (7) churches in four hours. We also offered our prayers. We then ended our day staying to a nearby hotel with a coffee shop to cool ourselves from a very hot day. Oh yeah! It was a tiring experience, yet I enjoyed it and hope my friend enjoyed it too! I hope you will share your experience too! 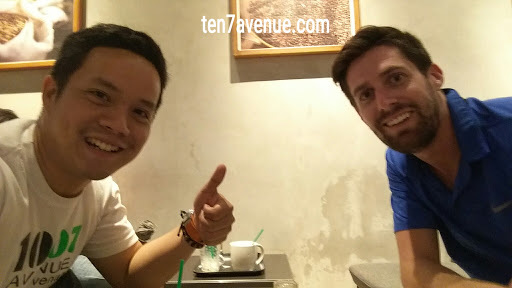 Thank you for visiting my avenue, www.ten7avenue.com.